The University of Mississippi offers an array of pre- and post-tax insurance benefits. A brief description of each benefit is provided along with links to each provider website. Contact information; reference materials; and enrollment, demographic change, beneficiary change, and claim forms are available within each section of this page. *Each Plan Document/Contract is the governing document when benefit information is in question. Plan participants may access their State Health Plan through a secure portal that allows participants to access personal information about healthcare claims and benefit information. The myBlue website provides access to Explanation of Benefits (EOB), ordering an identification card, and links to health plan information. The State and School Employees’ Health Insurance Plan will experience a premium/rate change effective January 1, 2019. To review the new rates you can visit the knowyourbenefits website. The Plan is also incorporating several benefits changes for the new year. in the next few weeks, you will receive a newsletter from the Department of Finance and Administration/Office of Insurance via mail. The State and School Employees’ Health Insurance Plan is a self-funded plan that provides 2 plan options (the Select Plan and the Base Plan, also referred to as the high deductible health plan-HDHP). Under both options the participant must meet a calendar year deducible before the Plan is responsible for payment of covered expenses. Detailed information about each plan option is available in the Plan’s Summary Plan Description. This document provides detailed information about plan deductibles, co-insurances, medical benefits, pharmacy benefits, adult wellness/preventive and well-child benefits in addition to other important Plan information.The following link will provide you with a comparison of benefits for the Base Coverage (high deductible health plan) and Select Coverage; rate for active employees, retirees, and COBRA participants; and federal notices and summaries of coverage. Rates and Coverage. The University pays 100% of the premium for employee coverage under the Base Plan (high deductible health plan) and a portion of the employee premium for the Select Plan. The employee is responsible for the cost of dependent coverage. Benefits for wellness and preventive services are available for participants ages 18 and older. In-Area Participants: Benefits are payable at 100% of allowable charge for up to two (2) office visits and certain diagnostic tests based on age and gender as defined by the plan. Services must be rendered by a Network provider. Out-of-Area Participants: Benefits are payable at 100% of allowable charge for up to two (2) office visits and certain diagnostic tests based on age and gender as defined by the plan. Services must be rendered by a non-participating provider. An all-inclusive list of covered procedures is available by visiting the state health plan’s website. Covered dependents under the age of 18 receive selected well child benefits at 100% when services are rendered by an In-network provider. The ‘Age and Gender Guidelines’ and a list of participating medical care providers is available on the State Health Plan Web site. The State and School Employees’ Health Insurance Plan is providing an online tobacco cessation program. Quitting Tobacco Together is a 6-week series in which Plan participants can interact with a health coach, from a computer, to learn about the benefits of quitting tobacco. The 30-minute weekly sessions are available from 11:00 – 11:30 CST or 3:30 – 4:00 CST beginning January 17th. Comprehensive dental benefits are offered through a plan with Delta Dental Insurance Company. Employees have 2 options to select from: Low Option and High Option. Excluding orthodontia, benefits are the same for both plans. Co-insurances, annual limits, and monthly premiums vary by plan. Delta Dental Flyer_2018. Participants receive benefits under this plan regardless of the dental care provider used. To take full advantage of plan benefits and incur less out-of-pocket expense participants are highly encouraged to utilize services of an In-PPO Network Provider. View the provider listing. In the drop down box under ‘Find a Provider’ on Delta Dental homepage, select Delta Dental Premier or Delta Dental PPO. Providers are available nationwide. Learn more about good oral health by reading the following educational flyers or by visiting Delta Dental’s SmileWay Wellness Website. If you are interested in receiving a tax break on medical and/or day care expenses, a flexible spending account may be of interest. Two plans are offered: Medical Reimbursement and Dependent Care. Under this program, pre-tax dollars collected through salary reduction are credited to a reimbursement account. Medical Expense Reimbursement Plan – Enables participants to receive reimbursement for eligible medical expenses. “Pre-tax” salary reductions are credited to a reimbursement account and are refunded to you as expenses are incurred. Expenses may include costs for deductibles, co-insurance expenses not reimbursed through insurance or any other source, eyeglasses, contact lenses, hearing aids, or any family medical expenses that would qualify as a deduction on your federal income tax return. The annual limit per participant is $2,700. Dependent Care Reimbursement Plan – Provides for the reimbursement of eligible employment-related dependent day care expenses. Expenses may include the costs for in-house or on-site care centers (caring for six or more individuals) or for at-home services provided by third parties who meet applicable state and federal law standards. The person being cared for must be either a child or other dependent under age 13 that you are entitled to claim as a dependent on your income tax return, or your spouse or other legal dependent who is physically or mentally incapable of caring for himself or herself. 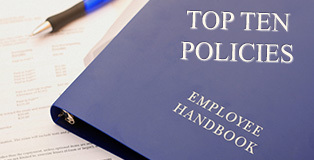 To participate, both the employee and their spouse must be employed or enrolled as a student. The annual limit per family is $5,000. Claims may be submitted via the following methods. Online submission: Submit a claim via the Southern Administrators and Benefit Consultants (SABC) secure portal which can be accessed at https://www.sabcflex.com/claims. This simple and user friendly option allows the participant to enter relevant information and attach receipts by uploading jpg, gif, png, or pdf images. Mobile App: Submit a claim via the SABCFlex Mobile App for smartphones. Using the camera on your phone, take a picture of medical receipts and submit the claim for reimbursement. This plan offers a rollover provision where a maximum of $500 from your 2017 Medical Reimbursement account will be rolled into the 2018 account. This rollover will occur on March 2. The rollover provision does not apply to the Dependent Care account. Learn more benefits associated with flexible spending accounts (i.e. plan limits, what is considered an eligible expense, approved period for incurring expenses, reimbursement request deadline, etc) in the Benefits Booklet. The University offers cancer/dreaded disease and intensive care policies with 2 companies (Life of Alabama and American Heritage). These plans pay benefits directly to the participant or beneficiary regardless of whether other insurance plans pay on covered expenses. Coverage is a supplement to other plan benefits and does not serve as a replacement for group health benefits. Print brochures and compare plan benefits. American Heritage Flyer (CP10 Plan) 2017 – This plan is not open to new enrollments after December 31, 2017. American Heritage Flyer (CP12 Plan) – This brochure provides benefit offerings, plan types, and premium rates for participants approved for coverage on or after January 1, 2018. All enrollments are subject to underwriting. The State and School Employees’ Life Insurance Plan is underwritten by Minnesota Life Insurance Company. Coverage is available for the employee only with a principal sum equal to 2 times the employee’s annual salary up to the plan limit. The university will pay one half the premium for coverage, if elected. Details of the plan are included in the University’s Fringe Benefits Booklet or by visiting the State Health Plan site. Coverage is guaranteed issue for new hires or employees who recently became eligible for benefits when enrollment is completed within 31 days of the qualifying event. All late applicants are subject to underwriting. Beneficiary Designation: Beneficiary designations with the State Life Insurance Plan are made online via myBlue which is a secure & confidential system that is managed by the State Health Plan. Participants must complete the following steps to update beneficiary information. Log into the myBlue website at https://myblue.bcbs.ms.com and click on the My Benefits tab. Click the Life Benefits section and then click the link which will redirect you to Minnesota Life’s online beneficiary management tool and follow the instructions to submit your beneficiary designation. Life insurance benefits for the employee and their family is available through coverage with UNUM. This plan enables the employee to enroll in coverage up to 6X salary, not to exceed plan limits; spousal coverage at varying increments up to $100,000; and dependent coverage no to exceed $10,000. This is an age rated plan with 100% of the premium payable by the employee. Read about the benefits in the Fringe Benefits Booklet or plan brochure. Enrollment forms are completed during the scheduled consultation and paper completion session. Are you concerned about meeting financial needs if you’re unable to work due to an accident or injury? A long-term disability plan, underwritten by Standard Insurance Company, may provide you with the supplemental income you are seeking. Subject to plan exclusions and limitations, a participant may be entitled to a percentage of monthly income for temporary, permanent, partial, or total disability. There are 2 plan types to choose from: 90-day or 180-day plan. The plan type determines the length of time an employee is required to wait before receiving benefits. This plan is available to employees only. The premium is based on the employee’s age and selected plan type. A plan overview is available in the Fringe Benefits Booklet or plan brochure. The University holds an annual Open Enrollment each October. This event enables employees to enroll in new benefits, change existing benefit options, or cancel plans that are offered through the Section 125 cafeteria plan. Section 125 benefits are plans in which premiums are payroll deducted on a pre-tax basis. The following is a list of Section 125 benefits. All elections, changes, or cancellations made during Open Enrollment go into effect January 1st of the following calendar year. In the absence of a qualifying event, this is the only period of time during which Section 125 benefits may be enrolled, changed, or cancelled.